After covering posts about terra-vehicles that aim to cut down on emissions and race to keep the environment clean, its time to look up to the green air-vehicles too. 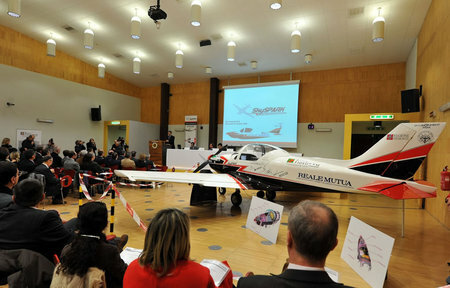 Just yesterday, the SkySpark project took off in Turin. In an attempt to shape up as a 100% ecological aircraft, this electrically powered flier also aims to set a world speed record for the same. The whole system is powered by a hydrogen fuel-cell, about 65kW. Powered by an electrical motor, it has already surpassed internal combustion engines both for efficiency and dimensions. Electronic control systems allow today to modulate RPM and torque with dynamics which are far beyond what it is attainable in reciprocating engines. 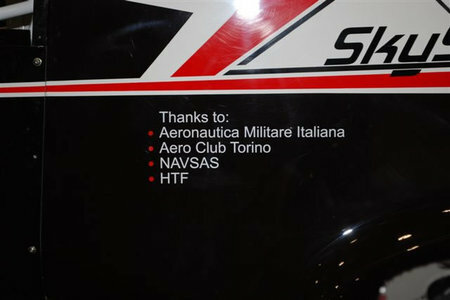 Italian astronaut Maurizio Cheli is the project coordinator and the SkySpark’s pilot. Supporting the navigation issues, NavSAS will use its technology to provide an accurate positioning of the plane during the tests and the record attempt. Such eco-friendly, zero-emission aircraft promise to keep our blue skies clean.